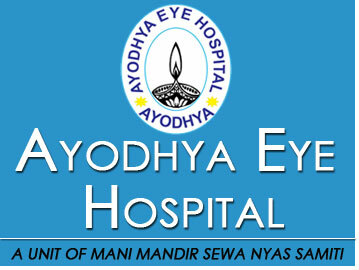 Rapidly growing avoidable blindness became a major problem in the Indian health care scenario since last 15 -20 years. The government in India has been running various support programs to reduce avoidable blindness. But in a developing country like India, the government alone cannot meet the health needs of all owing to a number of challenges like growing population, inadequate infrastructure, low per capita income, aging population, diseases in epidemic proportions and illiteracy. The need for the hour was involvement of voluntary organization to support the mission to reduce avoidable blindness. Realizing this Mani Mandir Sewa Nyas Samiti, Ramghat, Ayodhya, a society registered under the Societies Registration Act, 1860 initiated an Eye Care Hospital in one of the most backward regions of Uttar Pradesh (Eastern) with support from Sightsavers International Royal Commonwealth Society for the blind, a leading International Non Government Organization in the Eye Care Service Delivery in the year 2002.It has been serving the poor since last 9 years by reaching the unreached in one of the most backward districts of Eastern UP.